Over the past two weeks, EUR has rapidly declined against USD due to the rising demand for US currency and poor Eurozone statistics. Since February 1, the pair fell by more than 200 points and reached 1.1290, 1.1265, which are strong support levels and local lows of November-December 2018. 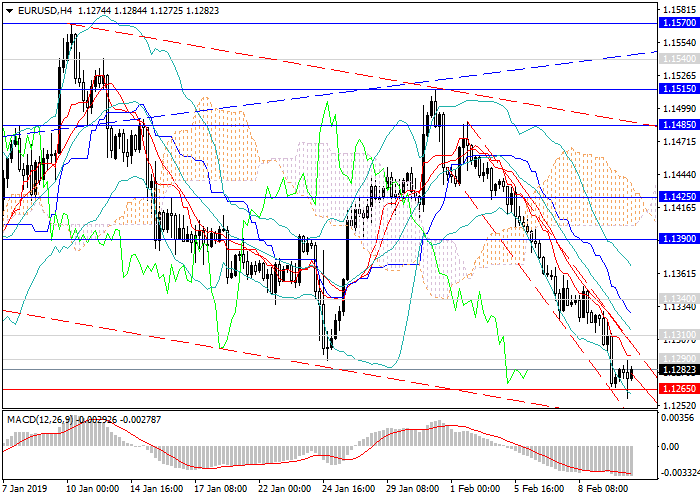 Now the price has fixed above the local minimum of 1.1265 and is trading within a narrow sideways channel. Last week, negative EU Q4 2018 releases on all major indices, the labor market, and economic growth rates were published. Today, there is a lack of key releases in Europe and the United States. Traders should pay attention to the speech of Fed Chairman Jerome Powell: his comments on the prospects for raising interest rates and changes in monetary policy may be an additional factor in the growth of USD. The downward impulse may persist to the local lows of the past year and a half at 1.1215 but then an upward correction will begin, which will regain more than half of the losses of early February. In case of a breakout of the level of 1.1215, the price may rise to the levels of 1.1130, 1.1100. Technical indicators reflect the consolidation of the downward movement, the volume of short positions MACD grow significantly, Bollinger bands reversed downwards. Resistance levels: 1.1290, 1.1310, 1.1340, 1.1390, 1.1425, 1.1485, 1.1515, 1.1550. Support Levels: 1.1265, 1.1230, 1.1215, 1.1130, 1.1100, 1.1050. 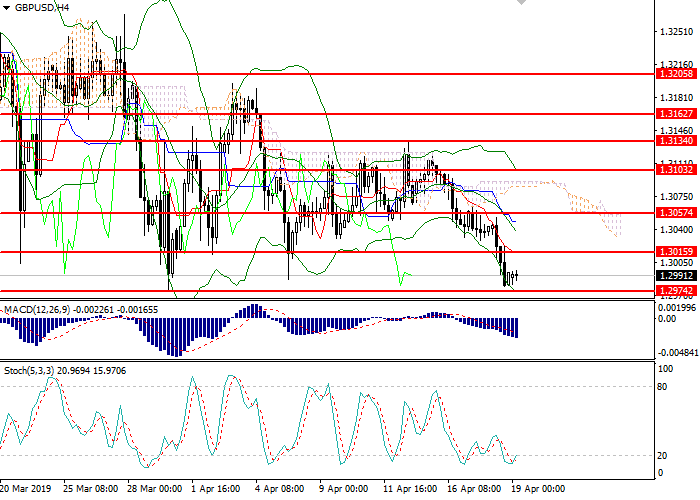 Long positions can be opened from the current level with the target at 1.1390 ​​and short stop loss 1.1210. Short positions can be opened after the breakout of the level of 1.1250 with the targets at 1.1130, 1.1100 and stop loss 1.1270.